The kids made history in Washington by utterly dominating the tournament. But everywhere else in the world, the old guard was holding strong. The old guard, the NextGen, and the journeymen were all on full display this past week on the ATP World Tour. Three events, three champions with very different backgrounds. We bid goodbye to the clay this past week as the road to the US Open kicked into a higher gear. 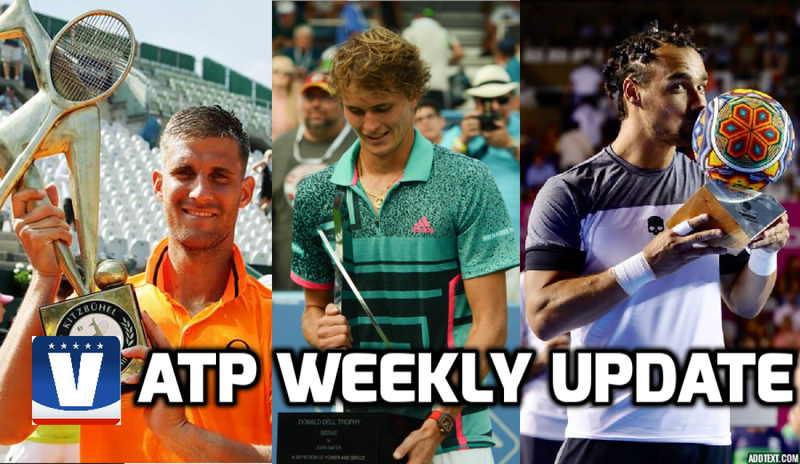 Here is your ATP Weekly Update for week 31 of the 2018 season. 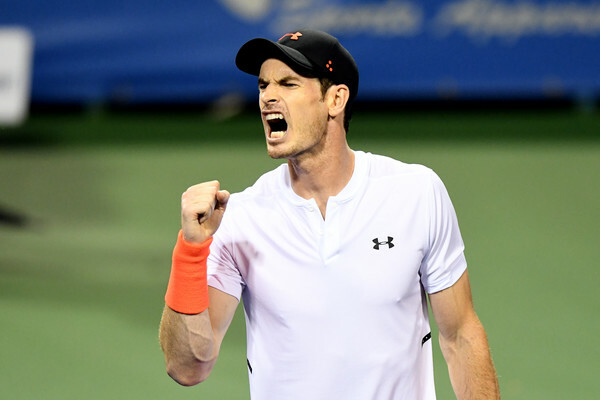 The 2018 Citi Open gave tennis fans a brilliant preview of what may be to come over the next decade on the ATP World Tour. 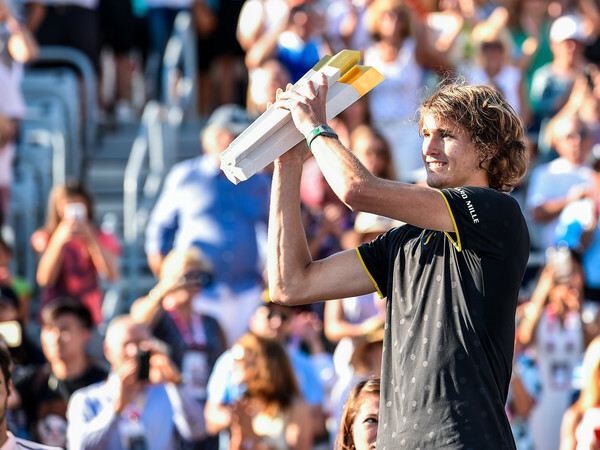 Washington was all about the NextGen and to no one’s surprise, Alexander Zverev is once again at the forefront. 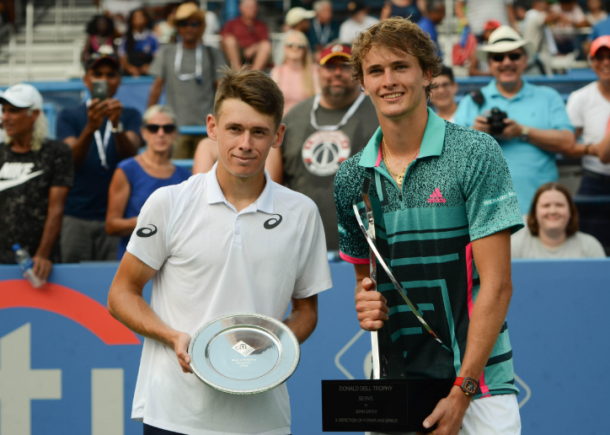 The world number three successfully defended his title in the American capital, dropping only one set on his way to his third title of the season, capping it off with a win over fellow youngster Alex de Minaur, who was contesting his second final of the season. For the first time in over 20 years (23 to be exact, since Buenos Aires in 1995), all four semi-finalists were 21 years old or younger. Zverev, 21, defeated 19-year-old Stefanos Tsitsipas in the semis to become the first player to reach 40 wins this season, while the 19-year-old de Minaur won a match-of-the-year candidate in the semis against 20-year-old Andrey Rublev, where the Aussie rallied from a set and 2-6 down in the second set tiebreak to reach his second final of the season. Aside from the shiny results, there were a few highlights in the early rounds, one of the most notable being Sacha beating big brother Mischa in the first tour-level battle of the Zverevs in the round of sixteen. The biggest upset of the tournament came early on in the second round when world number 152 Noah Rubin upset second seed and last week’s Atlanta champion John Isner. Outside of the NextGen, the biggest story of the week revolved around a member of the big four. Former world number one Andy Murray had his best run since coming back from injury in June. The Scot won three matches in a row for the first time in over a year, reaching the quarterfinals where he was forced to withdraw due to exhaustion. Rain wreaked havoc throughout the week, forcing Murray’s third-round match to start after 11 pm. That match took over three hours, ending at 3:02 am local time, with the Scot breaking down in tears after the victory. When Fabio Fognini wins on clay, like he did two weeks ago in Bastad, it comes as little surprise. When he’s on, the Italian is an elite clay court player. Hard courts are a different story. 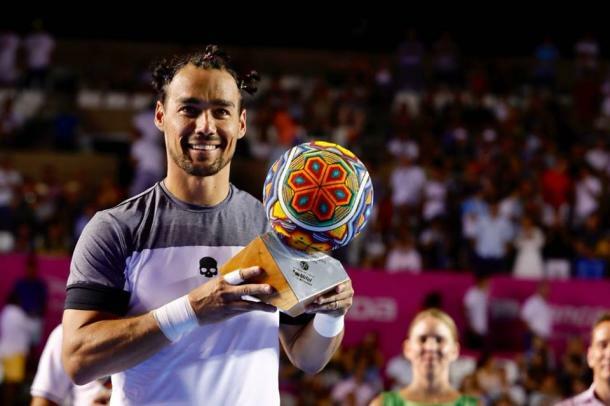 The erratic Fognini showed again this past week at the Los Cabos Open what he is capable on when he is dialed, dropping only the first set of his first match on his way to the title, his second in three weeks. That included cruising past world number four Juan Martin del Potro in the final in straight sets. Fognini was fortunate to not have to face a single seeded player to reach the final, although he did have to go through Brit Cameron Norrie in the semifinals, who reached his second semifinal in as many weeks. Del Potro had a straightforward run, not dropping a set until the final, where he was shockingly dispatched by Fognini. 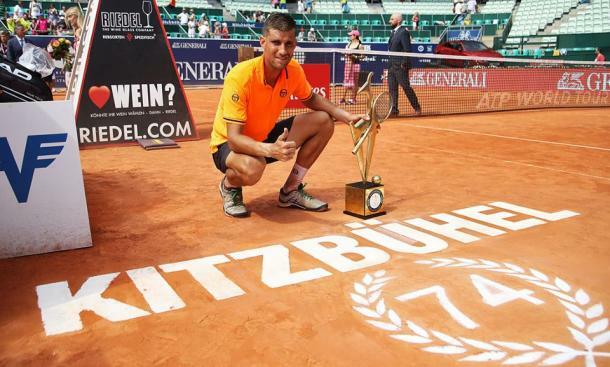 Many of the post-Wimbledon tournaments so far have been full of surprises and the Generali Open in Kitzbuhel may have topped them all. Despite having home-favourite and world number eight Dominic Thiem leading the field, it would be Martin Klizan claiming the title in an all-qualifier final. For only the second time since 1990, two men needed to go through qualifying to reach the main draw, only to take full advantage and meet in the final. On this occasion, it was Klizan cruising past Denis Istomin in straight sets to claim the sixth title of his career. After winning a pair of matches to qualify and then taking his opener, Klizan sent shockwaves through the tournament by stunning the home-favourite Thiem 7-5 in the third set in the second round. He would then defeat the last seeded player standing, Dusan Lajovic, in the quarterfinals before cruising through his final two matches in straight sets to lift the trophy. Istomin had a similar run, taking out second seed Philipp Kohlschreiber in the second round on his way to the final. The tournament was a disaster for the favourites. Along with the top two seeds losing their opening matches to qualifiers, only two seeds won matches and lived up to their seedings by reaching the quarterfinals, those two being sixth seed Maximilian Marterer (l. to Istomin) and eighth seed Lajovic (l. to Klizan). Kitzbuhel was the final clay court event of 2018. By reaching his second final of 2018, the 19-year-old Aussie continued to rocket up the ATP rankings. 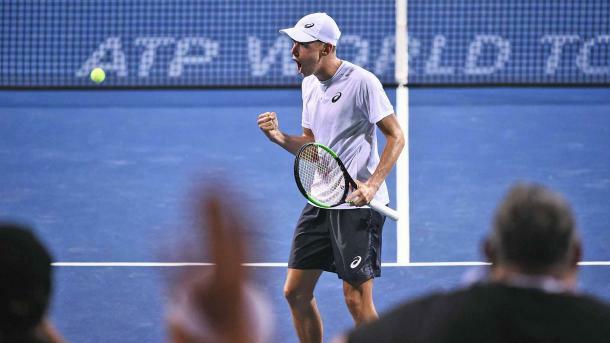 Thanks to his runner-up performance in Washington, de Minaur climbed a further 27 spots, flying past his previous career-high of number 68 into the top 50 for the first time at number 45. Both Kitzbuhel finalists had massive rankings jumps. The champion, Martin Klizan, leaped 35 spots back into the top 100 at number 77, while the man he beat in the final, Denis Istomin, moved up 20 spots to number 75. Nicolas Jarry also entered the top 50 for the first time and reached a new career-high of number 44 by reaching the semifinals in Kitzbuhel. Despite winning his second title in three weeks, Fabio Fognini only managed to climb one spot up to number 14, one spot back of his previous career-high. By reaching the final is Los Cabos, Juan Martin del Potro had a shot at a new career-high ranking had Alexander Zverev failed to defend his title in Washington. However, the German hung on, meaning they will stay at number four and three respectively. Del Potro will have another shot this week in Toronto, where Zverev is again the defending champion. By not defending his runner-up points, Kevin Anderson slipped one spot in the ranking down to number six, allowing Grigor Dimitrov to return to the top five. Alexander Zverev’s title in Washington allowed him to leapfrog over the idle Roger Federer to return to number two in the race, although he still trails Rafael Nadal by a wide margin. Fabio Fognini continued his slow creep towards the qualifying zone, moving up two spots to number ten. He now trails Wimbledon runner-up Kevin Anderson by a little over 500 points for the eighth and final spot. There may only be one event on the schedule this week, but it is a big one as the first Masters 1000 event of the summer will take place. 19 of the world’s top 20 will descend upon Canada’s largest city this week for the next major step in the US Open Series, the Rogers Cup. World number one Rafael Nadal and defending champion Alexander Zverev lead one of the deepest fields ever seen at the Masters 1000 event. Check out the full tournament preview here. The host Canadians will be well represented with five men, including Denis Shapovalov and Milos Raonic, representing the great white north. Nadal and Zverev, who are the top two seeds, are two of three former champions in the draw, the other being four-time champion Novak Djokovic, who is seeded ninth this year. Djokovic won the tournament last tie it was played in Toronto back in 2016. The only notable absences from the deep field are world number two Roger Federer and three-time champion Andy Murray, both of whom pulled out within the last two weeks. VAVEL USA will be bringing you coverage of the 2018 Rogers Cup directly from Toronto as VAVEL USA’s own Pete Borkowski (me) will be on the ground at the Aviva Centre. Keeping coming back to www/vavel.com/en-us/tennis-usa/ and follow us on twitter @VAVELUSATennis for everything you need at the Rogers Cup.